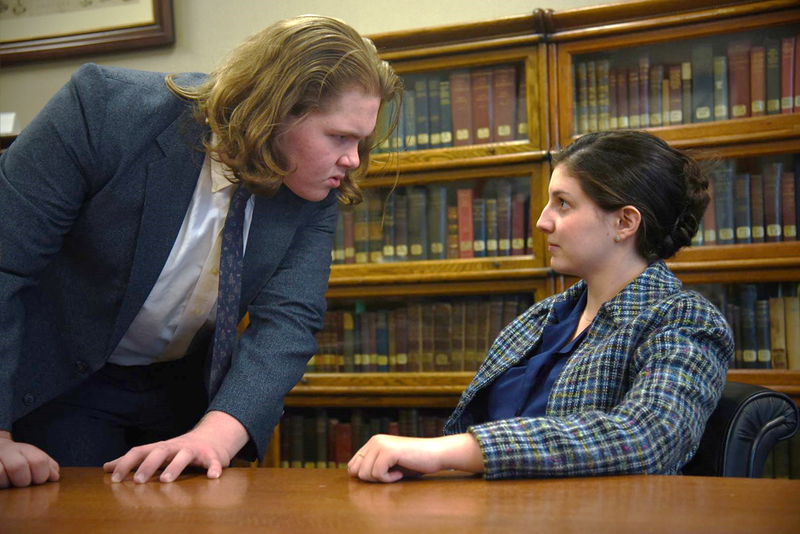 Dubuque Senior High School will present Reginald Rose’s courtroom drama,Twelve Angry Jurors. Performances will be May 2–4 at 7:00 pm, and Sunday, May 5 at 2:00 pm. Dubuque Senior’s production will be performed in the Lamb-Hedeman Auditorium with a cast and crew of more than 50 students.DESCRIPTION: A 19-year-old man has just stood trial for the fatal stabbing of his father. It looks like an open-and-shut case—until one of the jurors begins opening the others’ eyes to the facts. Tempers get short, arguments grow heated, and the jurors reveal their inner demons. This electrifying courtroom drama will have you on the edge of your seat. Twelve Angry Jurors is adapted from the 1954 teleplay of the same title for the CBS Studio One anthology television series. The original television show starred Henry Fonda, and the 1997 re-make featured Jack Lemmon in the leading role. Dubuque Senior’s production will feature senior Brady Booth in the Fonda/Lemmon role. Dubuque Senior’s production will be performed in arena-style (theatre-in-the-round), which will place the audience in the jury room for the action of the play. One of the best ways parents can help students succeed in school is to participate regularly in conferences with teachers. Please accept this invitation to attend conferences with your student to discuss your child’s progress with his/her teachers. When parents, students and teachers work together, we can assist each other in providing a positive experience for your son or daughter. This year we will be offering two unique opportunities for conferences with teachers. Tuesday, October 9th (evening) – teachers will be in the Nora Gym & Cafeteria to meet individually with parents and students. These are not scheduled and conferences should be limited to a maximum of 5 to 7 minutes. Tuesday, October 16th (evening) – teachers will be in the Nora Gym & Cafeteria to meet individually with parents and students. These are not scheduled and conferences should be limited to a maximum of 5 to 7 minutes. Thursday, October 18th (morning) – schedule a group conference where you can meet with all of your student’s teachers at one time. These will be scheduled in a 20 minute time slot. 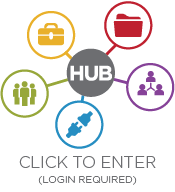 You will not need to make an appointment for the conference format on either Tuesday night. An appointment IS necessary for the Thursday conferences. They can be scheduled by contacting the Main Office at 552-5500. We encourage parents and students to attend together. If you need more information, please call the Main Office. The entrance for conferences will be through the new main entrance. 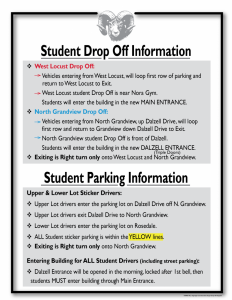 Parking will be available in the main parking lot. Handicapped parking is also available and is marked. 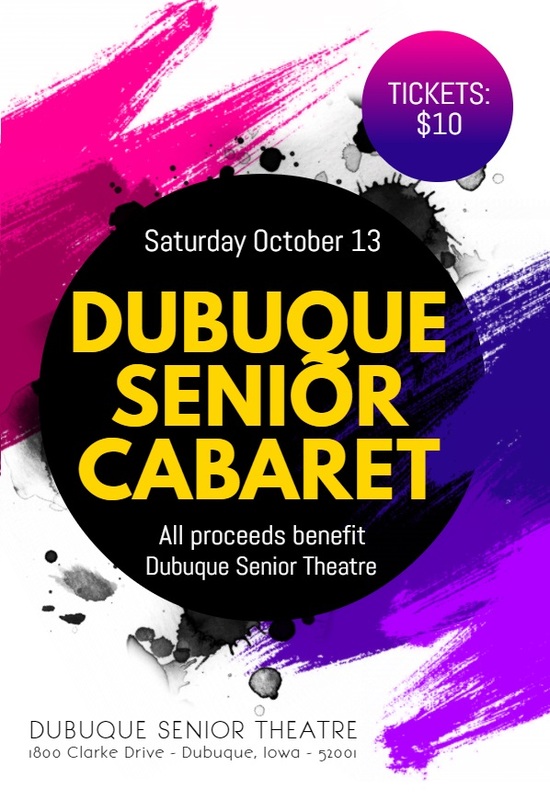 The Dubuque Senior Theatre Department will host a special one-night-only cabaret performance on Saturday, October 13th at 7:30 PM. The cabaret concert will feature songs from the best of Broadway – including performances from classics from Frank Wildhorn’s Jekyll and Hyde to the hit Broadway comedy, Something Rotten. The concert will include more than 75 students from Dubuque Senior – past and present. This outstanding evening of musical theatre will be held in the Lamb-Hedeman Auditorium at Dubuque Senior High School. All proceeds from the performance will benefit Dubuque Senior’s performance of Footloose at the Iowa Thespian Festival in November.  The cabaret will include a sneak peak of Dubuque Senior’s upcoming production of Footloose.  Dubuque Senior’s performance of Footloose features junior Samantha Barklow as Ariel, and sophomore Gavin Hall as Ren, in a part made famous by Kevin Bacon in the 1980s hit movie.  A medley from the chilling, gothic Frank Wildhorn classic Jekyll and Hyde will feature a cast of more than 20 students.  The cabaret will also include a medley from the hilarious Something Rotten, an award-winning musical about William Shakespeare.  The performance will also feature many Dubuque Senior Theatre alumni that are returning to the Lamb-Hedeman Auditorium for the first time in years.  The benefit concert will help the Dubuque Senior Theatre program perform their first musical on the mainstage at the Iowa Thespian Festival in school history. Check-in for fall sports 2018 will be held on the dates/times listed below. NOTE: Immediate Post-concussion Assessment and Cognitive Testing (ImPACT) will be administered the same week as check-in. Please see below for dates and times. If you are planning to participate in a fall sport, please report at the times listed. Have physical forms, concussion form, and student information section, all completely filled out and signed. NO ONE will be allowed to practice until the completed forms have been turned in to the Activity Office secretary either at the check-in date or in the Activities Office before the first practice. NO EXCEPTIONS! The physical will be kept on file in the office for one year. Immediate Post-concussion Assessment and Cognitive Testing (ImPACT) will be administered the same week as check-in. Those athletes who need to take this test, please note the time of the test and have your consent form filled out and signed. NOTE: this date MAY NOT be the same as your designated check-in date! 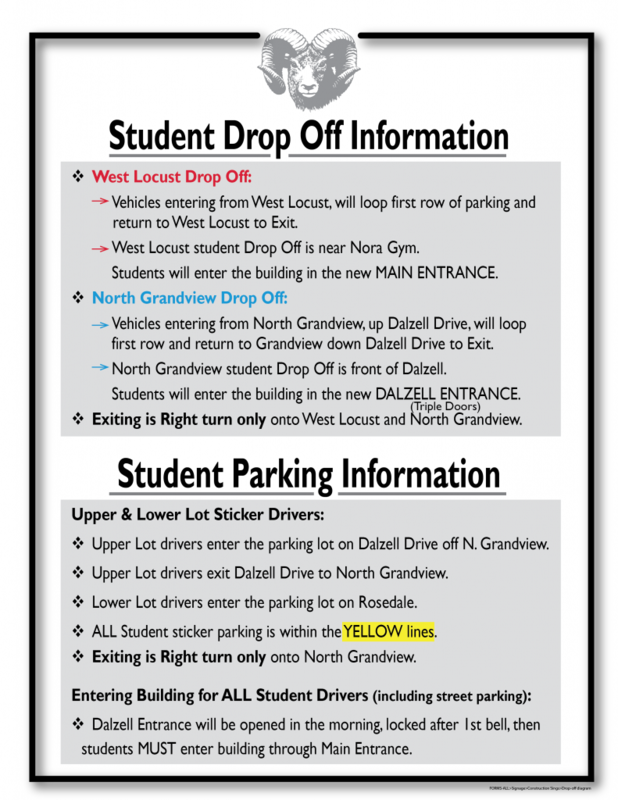 Please check the following for information on drop off and parking to get the school year started! In our continual effort to promote Dubuque Senior High School’s safe and supportive culture, we are inviting all freshmen to take part in the Sixth Annual 9th Grade Respect Retreat on Wednesday, September 6th and Thursday, September 7th (7:35 AM-2:20 PM). The retreat will take place at Dubuque Senior High School, Nora Gymnasium. 9th graders will first report to the cafeteria to check in and pick up their name tag for the day.In our continual effort to promote Dubuque Senior High School’s safe and supportive culture, we are inviting all freshmen to take part in the Sixth Annual 9th Grade Respect Retreat on Wednesday, September 6th and Thursday, September 7th (7:35 AM-2:20 PM). 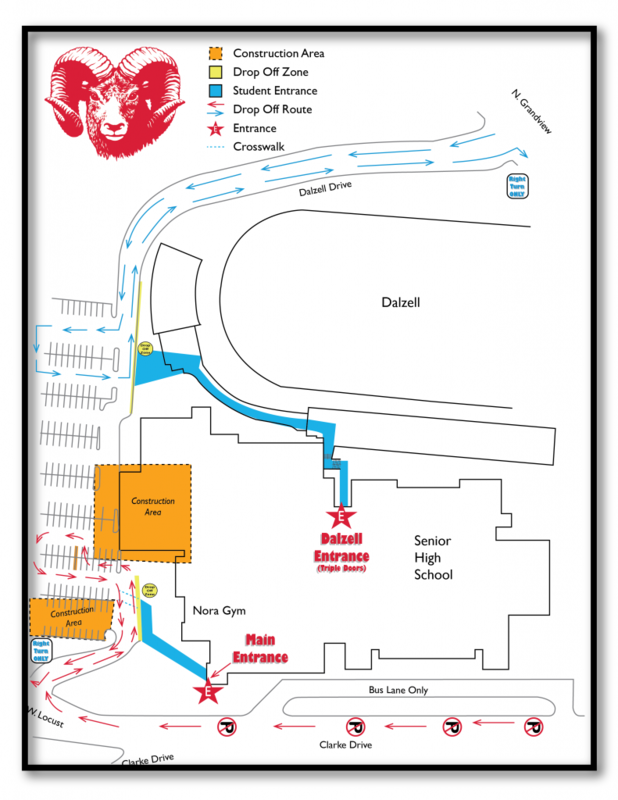 The retreat will take place at Dubuque Senior High School, Nora Gymnasium. 9th graders will first report to the cafeteria to check in and pick up their name tag for the day. Lunch on the day your student participates in the retreat will be a sack lunch purchased by your student from our school cafeteria. If your student prefers to bring a cold lunch from home, that is also an option. The retreat will serve as an empowering experience for our 9th grade students to better understand the importance of respecting themselves and others. Youth Frontiers, a nonprofit organization based in Minneapolis, delivers a program to build positive school communities that help young people realize the importance of respect. Their vision is to change the way students treat each other at school and in their community. We would like all incoming freshmen to participate in this incredible opportunity. One half of our freshmen will attend on Wednesday, September 6th and the other half will attend on Thursday, September 7th based on who their English teacher is (see list below). If you have any questions, please contact Mrs. Trica Brokus, Student Needs Facilitator, at 552-5504 or tbrokus@dbqschools.org. Seniors who want a final semester transcript sent to colleges, vocation schools or employers, must turn in a final request to Mrs. Norton, in the Business/Registrar’s Office, before May 24th . If you have any questions regarding transcripts, please call 552-5525 or stop by the Business Office. Caps and gowns will be distributed at graduation rehearsal at the Five Flags Center on June 2nd. YOU MUST HAVE ALL DEBTS CLEARED (and all library books and textbooks turned in) TO RECEIVE YOUR CAP & GOWN. Grades for seniors will be finalized on Thursday, May 25th at 1:00 pm. Any senior who does not meet graduation requirements, will be notified. SENIORS LACKING CREDITS FOR MEETING GRADUATION REQUIREMENTS WILL NOT BE ALLOWED TO PARTICIPATE IN THE COMMENCEMENT CEREMONY. 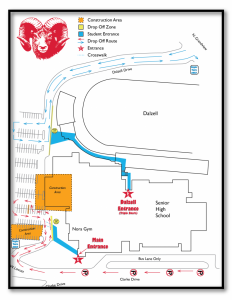 All senior participating in commencement must report to Five Flags by 12:45 PM. It is imperative that all graduating seniors be at this practice unless individually excused by Dr. Johnson. If you are absent and have not contacted Dr. Johnson, you will NOT BE ALLOWED to participate in the graduation ceremony. Report cards will be handed out at the commencement practice on June 2nd. If you have any questions concerning any aspect of your report card, please contact your teacher or call Mr. Howes at 552-5510. COMMENCEMENT CEREMONIES – SATURDAY, JUNE 3RD AT 10:00 AM AT FIVE FLAGS: PLEASE LEAVE HOME EARLY ENOUGH TO BE AT FIVE FLAGS BY 9:15 AM. PLEASE ALLOW TIME FOR TRAFFIC JAMS, LACK OF PARKING SPACES, ETC. There will be a temptation to break file after graduating. You will save a great deal of time and confusion, however, if you follow directions and maintain your spacing and lines until you are out of Five Flags. DO NOT BE IN A HURRY; THIS IS YOUR TIME TO SHINE!! As a service to graduates and parents, Lifetouch Photography, a professional photographer has been retained to photograph all graduates at the commencement ceremonies. Pictures will be taken as the graduates receive their diplomas. Lifetouch will send you a descriptive brochure and instructions for ordering after the ceremony. Information regarding pictures will also be in their graduation envelope that they will receive at graduation rehearsal. Our purpose in providing this service is two-fold. First, to give you the opportunity to have a fine professional photo. Secondly, to reduce confusion, distraction, and crowding around the stage during the graduation ceremony, there will be an area on the right side of the stage for family and friends to take photos. We ask that these family members and friends return to their seats immediately after taking pictures. Students are to wear appropriate clothing for this special event. For women, this would mean a dress or slacks and for men, a dress shirt and dress pants. Attire will be subject to administrative approval. If you have not met the expectations listed here or do not demonstrate appropriate behavior, you may be denied the opportunity to participate in the ceremony. Family and friends will want to allow extra travel time to avoid traffic and parking problems. There will be no limitation on seating. Five Flags personnel have asked that we remind you not to reserve seats by placing programs, coats, etc. on chairs. The Fifth Street parking ramp will have plenty of parking spaces. If you are in need of handicapped accessible seating Five Flags does reserve a section for that need (which would include the person in need and one more person) it will not be for the whole family. Arrive early to guarantee your seat. Non-participants may pick up their diplomas and cap and gown on Monday, June 5th in the Business Office. DIPLOMAS WILL NOT BE MAILED. If you have any questions please contact Mrs. McCaw at 552-5503.